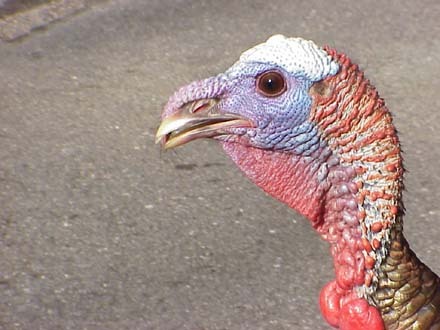 Can you believe this was almost our national symbol? 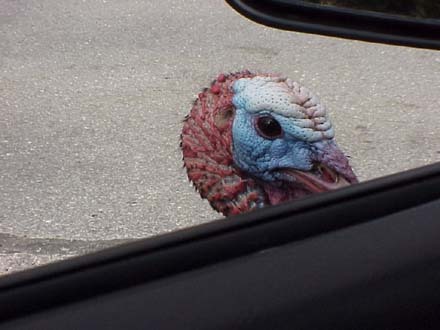 I had heard about a couple of turkeys in Lincoln which had been accosting cars, and I just had to see this one for myself. I'd driven past the spot several times (it's on my way to work), but on January 9 I finally got lucky. Well, it really didn't take much luck. 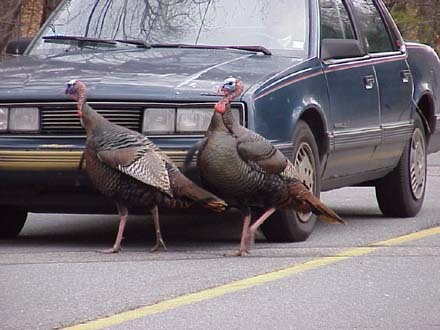 The birds were in the middle of the road, and indeed, they were attacking cars. Cars would stop (who wouldn't?) 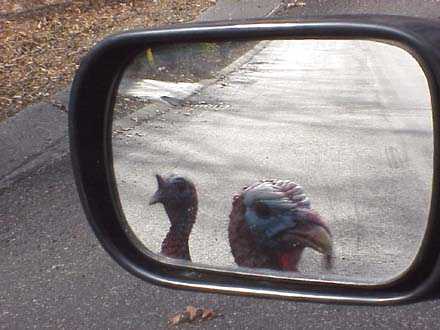 to observe this bizarre behavior, and once in a while, the driver would get impatient and honk. 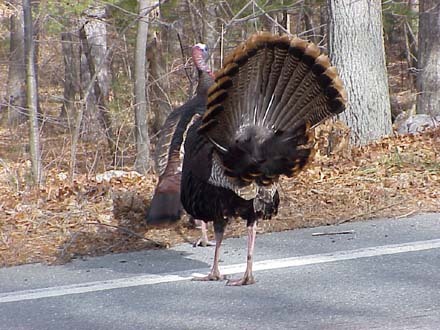 This noise was evidently interpreted as communication by the turkeys, who would gobble back loudly and persistently. 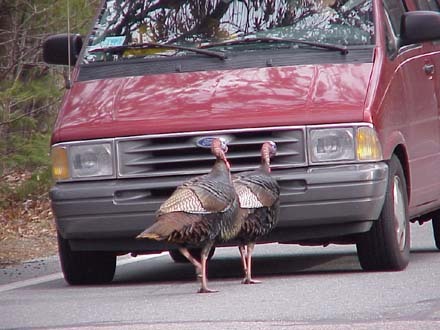 They would peck at the door, the wheels, the bumpers, whatever looked worth pecking. It wasn't just other cars, they attacked my car as well. This is my personal favorite photo. 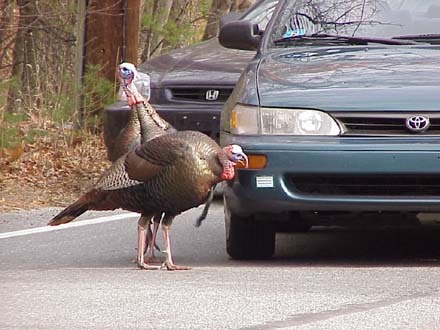 I watched this behavior for over fifteen minutes, but finally one car stopped, and the owner got out to chase them into the woods, explaining that they might be hit by a car. Hm. I'm not sure how great a loss that would be to the gene pool.